KevinJamesNg | Traveling through time and space & Doing timey wimy stuff. 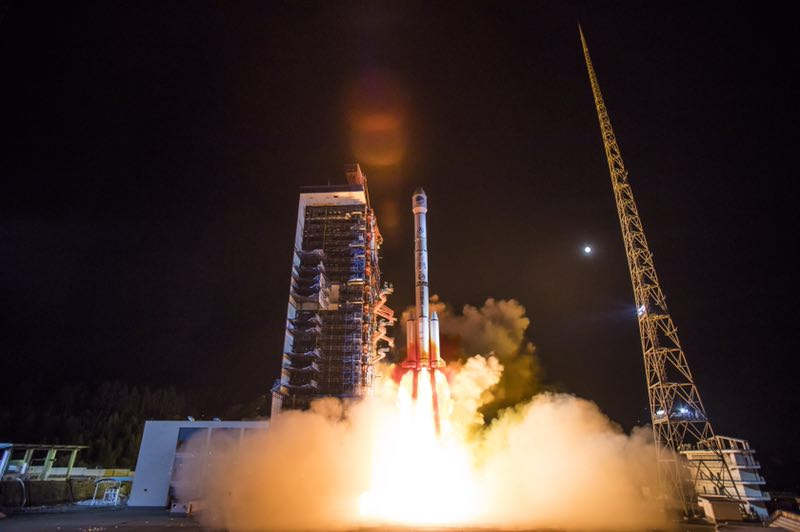 #CNSA #ChinaNationalSpaceAdministration #国家航天局 #BeltAndRoadinitiative | #BeiDou3 #LongMarch3B #CarrierRocket deploying the next third generation Navigation Satellite constellation System for the year 2019…. Marking this celebrated centennial launch, its 100th launch of the reliable CNSA-Long March 3B Carrier Rocket series in which has been launched from the Xichang Satellite Launch center. As marking for the 10th launch of this series, it’s the 44th Satellite of the BDS constellation system network in which a further eight to ten this year following of total eighteen BeiDou 3 Satellites will be deployed into an inclined Geo Synchronous Planetary Earth’s Orbit, with the remaining in a circular orbit.. Image Credit – Photo by Shi Xiao from China Aerospace Science and Technology Corporation. Manufactured, designed by CNSA’s network companies, CAST- China Academy of Sciences, also CALVT- China Academy of Launch Vehicle Technology branch… Each BeiDou3 advance atomic clock in which it timely beats with the Rubidium Atomic clocks in which the frequency vibrations of the Rubidium atoms gives an extreme advance ultra-stable accurate timing….. BeiDou satellite network system name was inspired form the seven stars that occupied the big dipper that points towards the star Polaris, the Northern Pole Star… In which northern hemisperers navigate from also in Chinese legend it’s also the Fortress Mouth of the Tortoise gate the only entrance toward the upper domain, the gate of Heaven…… In which during the duration of 2020 the BDS constellation network would have an excess of thirty satellites servicing the provision requirement needs of the Belt and Road Initiative…..
With a coverage of the Asia Pacific region with a accuracy within ten meters that will get tighter towards as each generation innovates…in providing navigational communicational services towards the Belt and Road initiative countries within 35 Satellite network by 2020…. in which the BeiDou Satellite Constellation system in which has been, installed since the year two thousand servicing the Asia Pacific region in the year 2012 from serving China… in which the system provides towards more than fifty countries with a total population of three billion people… Since year Two Thousand, since providing that service it helped rescuing more than ten thousand fishermen… Also provide monitoring the structural integrity of highways, pipelines, dams, bridges also various infrastructures… As part of it Data Communications package It provide more than three hundred million smart phones in which thirty three percent of the Smart Phone market have now currently connected towards the BeiDou Constellation network.. Towards year 2020 the BeiDou Constellation system providing first rated leading services for a global services..
There’s two ways that you can explore, through a tour group, or through self-exploration in which adventuring on two options will give you some international known streets spots in which you can explore through the people with while photographing your moments while discovering Wan Chai or Sham Shu Po.. Through its urbanscape, design elements in the district, with its food culture.. The tours have starting point of place and time where the adventurers meet as they proceed to explore the streets in the #ddSnap with a tour guide to take you around in which one is International 2017 National Geographic Wheelock Youth photographer – instagrammer Jeremy Cheung in which tours done in segments of Cantonese, Mandarin, English starting point of Fleming Road Garden, Wan Chai.. There’s Other Walks #ddStory – Discovering the Stories Behind Local Design and Crafts.. Discovery Wan Chai Architectural Gems and Explore City Design… and other inbetween is in which the tours hybrids the walking tour with digital artwork integrating the past, present, the presently soon future…. Hong Kong Space Museum – Tsim Shan Tsui. 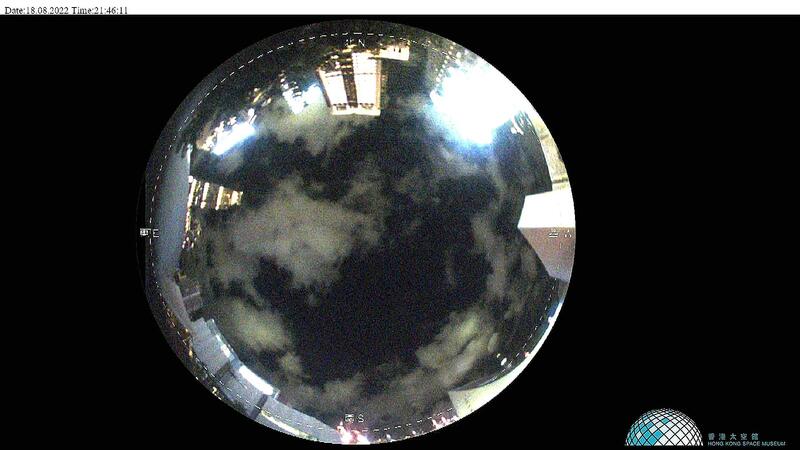 Hong Kong Space Museum All Sky – Looking dome wise of Tsim Sha Tsui..
Hong Kong Space Museum – Solar Telescope Hydrogen filter..